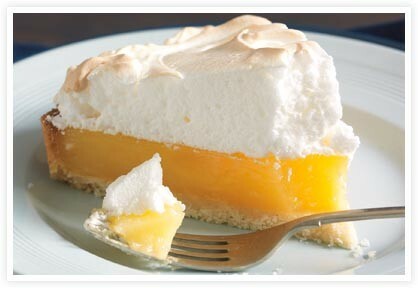 I think a lot of people think of lemon meringue pie as a summer treat but that's a shame. Lemons are in season during the winter months and pies made now will be tastier than those made in July. Added bonus: even if you live in an area where citrus trees are not native, prices on citrus are lower during December, January and February than they are the rest of the year. Take advantage and make this creamy, buttery, fluffy pie. Grab the recipe here at The Three Kitcheneers.